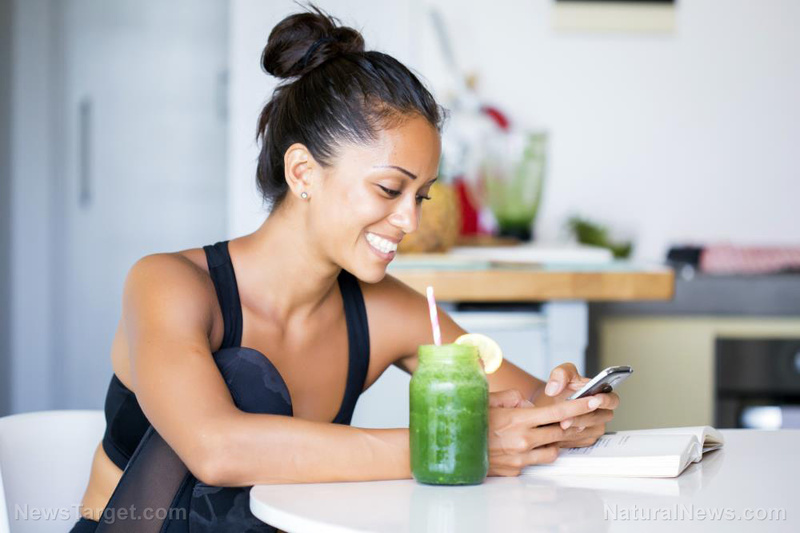 (Natural News) It used to be true that conventional food that was not processed had plenty of vitamins and minerals to help your body fuel immunity, energy, and brain function. Not any more. The “gray area” between toxic food and organic food has been wiped out and no longer exists. The so-called “Big Food” corporations in America, working in tandem with biotechnology firms, have bastardized conventional food to the extent that it’s all poison to the human body now, and not the kind of poison that kills you over night, but rather over time. It all started after WWII, when American corporations began processing and canning food, using artificial, synthetic, and chemical additives and preservatives. Forty years later biotechnology firms figured out how to take insecticides and pesticides and infuse them into the DNA of crop seeds. This was called genetic modification, and it started with corn and soy in the mid-1980s. People are now consuming bug killer and weed killer every time they eat conventional food, and it can’t be washed off your produce in your kitchen sink. That same food is sprayed with weed killer (herbicides) that the plants are immune to, but you are not. It’s called glyphosate, a.k.a. Roundup, it’s carcinogenic, and it literally drains the nutrients from your body. Nearly all non-organic crops grown in the USA are sprayed with toxic fluoridated water that not only kills the nutrients in the crops themselves, but even worse, in the soil. The fluoride in U.S. water does not help your teeth, but rather is an industrial by-product of the phosphate industries in China that the U.S. imports to “treat” our water supply. Chronic inflammation drives nearly all diseases and disorders Americans suffer from today. Got that constant ringing in your ears? Got joint pain? Got skin rashes and a constant itching problem? Are you constipated often? Got irritable bowels? These are all signs of chronic inflammation and “slow-brewed” food poisoning. Conventional bread is treated with so many chemicals now that it stops up the intestines like glue and rots food inside the body. Make no mistake, any food that contains non-organic gluten these days is a top source of chronic inflammation. Eat it and you’re feeding disease the exact fuel it wants and needs. In fact, if you stop up your body with toxic gluten, and then consume organic food after that, the organic food still turns to poison in your body because you can’t excrete in within 24 hours. Get it? First things first – stop eating all gluten that’s not organic, and even cut way back on gluten that is organic. This will enable your bowels to function properly and expunge the waste inside of 24 hours. Next, switch to an organic, plant-based food regimen for at least 75 percent of your daily intake. Sure, it’s not as easy as it sounds, but the rewards are phenomenal. This will flush out the pesticides and nitrogenous waste in your body, including that which is stuck in your cleansing organs, your intestines, and your excretory system organs. Yes, you can cure cancer, anxiety, depression, and chronic inflammation by changing what you eat. Indigenous cultures for millennium have added herbs and spices to their daily regimen to prevent and even cure the diseases we fight and often succumb to today. Our medical system is run by doctors who know absolutely nothing about nutrition, and who only prescribe chemical medicine for the symptoms of TFD (toxic food disease). Start preparing your food with organic herbs and spices and you will immediately taste the difference, compared to processed conventional foods that are wiped clean of flavor and nutrition, but then have it “added back” in with artificial flavors and concentrated salts, like MSG (monosodium glutamate) and carcinogenic nitrates (think deli meats, bacon, hot dogs, sausage here). It’s true that every bite you take is either fighting disease or feeding it. American food either contains cancer-causing pesticides or it doesn’t. American food is often preserved with sodium benzoate that literally chokes your cells, robbing them of oxygen and causing cells to die off. You need to start investigating every food label and ingredients list for the poisons that are revealed on Natural News every day. Tune into NaturalCures.news for more updates on indigenous cures for all kinds of ailments, injuries, and health conditions that M.D.s can’t seem to figure out. Finding great information on the internet doesn’t have to be a chore, you just have to know where to look. Start off your new longevity journey at NaturalPedia.com and let your fingers do the walking – it’s a snap.